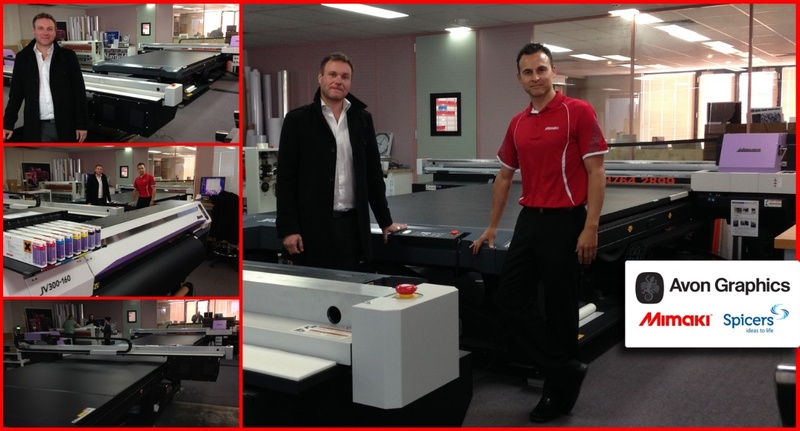 Following this discovery and further discussions with Mimaki and its Australian sales agent, Spicers Sign & Display, Avon invested in its first JFX500-2131, which features Mimaki’s newly developed print heads with variable ink drop size, advanced head control for precise, high-resolution images, and cold-cure UV LED technology, which allows the machine to produce this outstanding print quality on a very wide range of media at speeds of up to 60m2/h. Mimaki JFX500-2131 Max Speed 60m2/h. Powerful combination of Speed and Quality. “We operate in a true ‘on demand’ environment"
“It seems like a lot of printers to have running together,” Tate acknowledges , “but the multiple installation base allows us the kind of flexibility we need to cater for virtually anything our clients require. “We have always been driven very much by the demands of our customers – if they have overflow work they can’t handle in house due to the substrate or the size, for instance, we find a way to fill that gap in their production capacity,” Tate explains. Extending that flexibility are five Mimaki JV300-160 eco-solvent roll-fed printers – a machine Mimaki rates as providing a ‘new global standard’ for print excellence and speed on flexible media – and a TS300P-1800 dye sublimation paper transfer printer which offers similarly outstanding quality, productivity and cost-effectiveness on fabric and textiles. Avon Graphics has built an enviable reputation as one of the country’s leading trade finishing and embellishment houses by taking an absolutely uncompromising stance on quality. 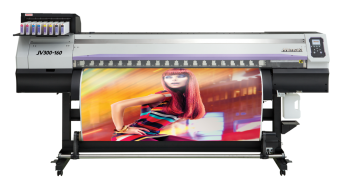 Over the past couple of years, the company has expanded its services to include wide-format digital print, partnering with Mimaki to bring outstanding quality to the market. “Avon is a strictly ‘trade only’ supplier, and our business is built on helping printers meet their customers’ demands, add value to the print they produce and cope with on-off or overflow work,” Tate explains, adding that both equipment and craft play their part in meeting the exacting standards required by some of the country’s leading print service providers. Over the years, this has led to the development of an almost impossibly wide range of services, from traditional embellishment like foil stamping, embossing and debossing, to laser and forme cutting, flexo, UV and silk screen varnish and coatings, encapsulation and lamination, holographic and security options, ‘scratchie’ coatings and ‘scratch-and-sniff’ fragrances, and even old-fashioned verkotype and glitter application. Rounding out its trade services, a dedicated workshop provides engraving, die-making and flexographic plate production. 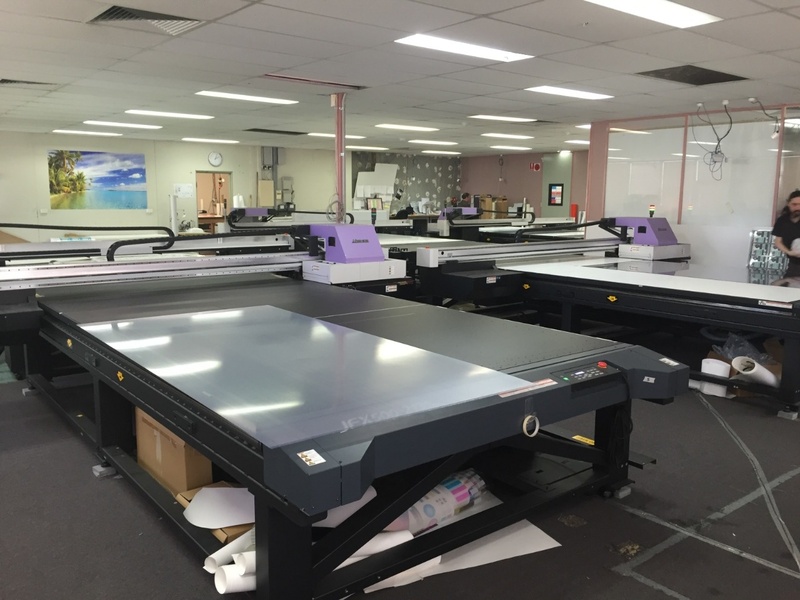 IndustryAvon Graphics is recognised as Australia's leading specialist print trade supplier and embellishment company employing over 80 staff.